Catherine Sawyer (Honours B.A. in Spanish 2018) and Professor Emiro Martínez-Osorio write prologue to new edition of Lo Amador. Catherine Sawyer (Honours B.A. in Spanish 2018) and professor Emiro Martínez-Osorio wrote the prologue to the digital edition of Lo Amador included in the Biblioteca Básica de Cultura Colombiana by the Colombian National Library. Lo Amador is a collection of short stories by Roberto Burgos Cantor (1948 – 2018), winner of the José María Arguedas award for his novel La ceiba de la memoria (2007). This year the Colombian Ministry of Culture awarded Burgos Cantor the national book award for best novel for Ver lo que veo (2017). 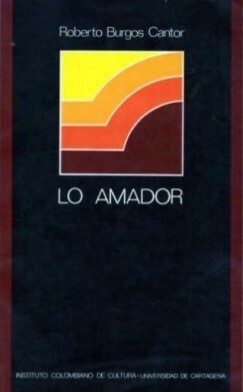 Published originally in 1981, Lo Amador is a collection of short stories that narrate the rise and decline of a working-class neighborhood in the city of Cartagena. The book explores the connection between literature, music, film and popular culture and introduces memorable characters such as Mabel Herrera and Atenor Jugada, who reappear again in subsequent works by Burgos Cantor.